I’ve done little to no cooking or baking in this weather, as I do not have central air in my home. I’ve used this excuse to eat out on a number of occasions, including a special Food Blogger’s tasting at Los Perros Locos on the Lower East Side. This restaurant serves up fancy, funky hotdogs to satisfy your munchies until the wee hours. While I’m not a hotdog connoisseur, Los Perros Locos certainly does put a tasty twist on the typical “dirty water dog”. Check it out. It should come as no surprise to you that this recipe was actually baked just before the onset of this heatwave. 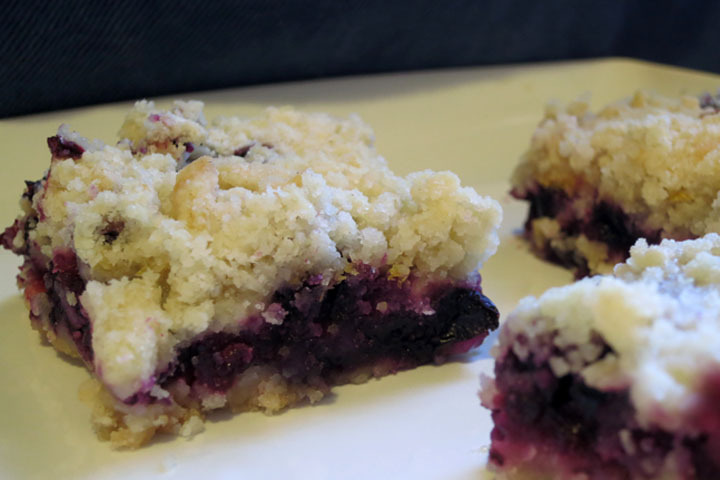 Assuming blueberries are still in season in your neck of the woods, there’s still time to make a batch yourself! Preheat oven to 375 and grease a 9×13 pan. In a medium bowl, stir together 1 cup of sugar, 3 cups of flour, and baking powder. Mix in salt and lemon zest. 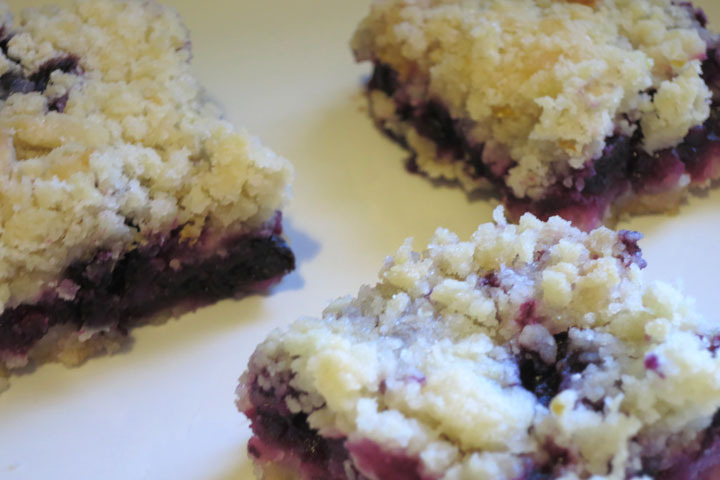 Using a fork or pastry cutter, incorporate the butter and egg until crumbly. Pat half of the dough into the pan to form a bottom crust. In another bowl, stir together the remainder of the sugar, cornstarch, and lemon juice. Gently fold in the blueberries. Sprinkle evenly over the crust. Bake in the oven for 45 minutes, or until the top is golden. Cool completely before cutting into squares. 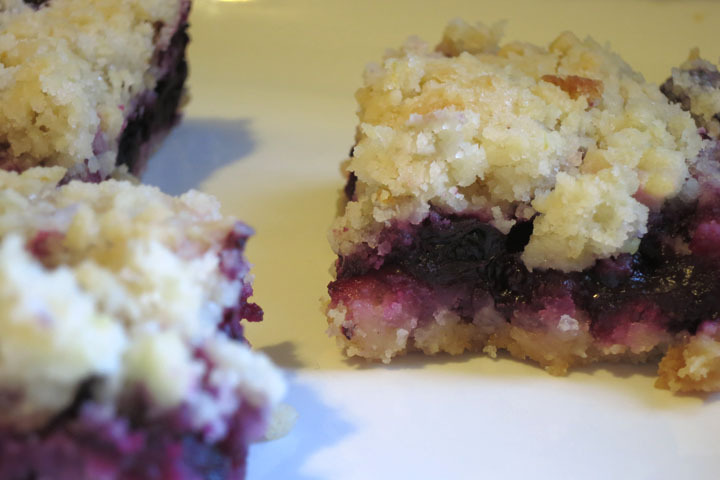 This entry was posted in Baking Jumbles and tagged bars, blueberries, blueberry, crumb, fruit. Bookmark the permalink.